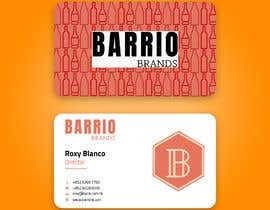 I need to design a business card for my new Wine & Spirits company. 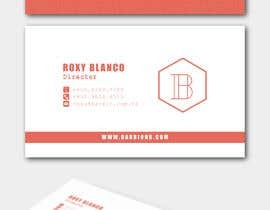 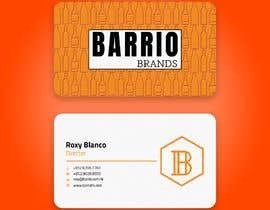 I have the color template, brand logo and a general idea of how I would like the cards to look. 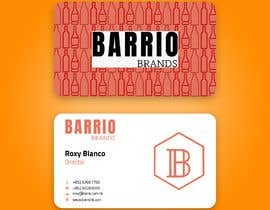 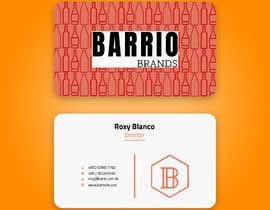 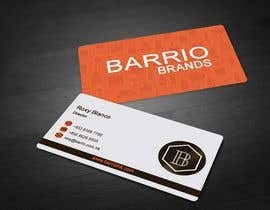 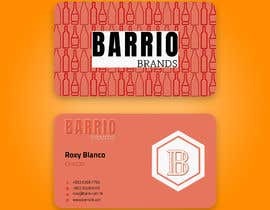 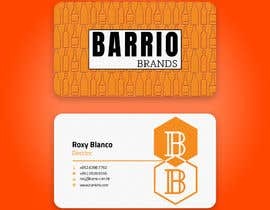 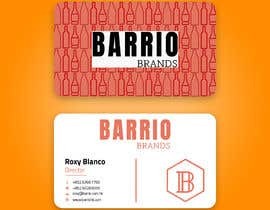 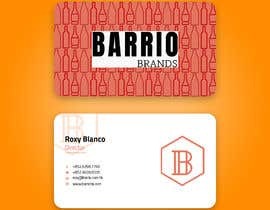 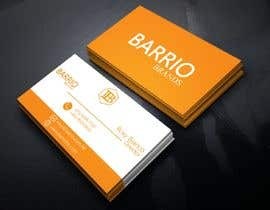 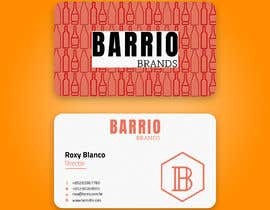 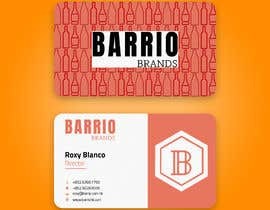 Front-side: orange/peach color (same as attached photo #1), if possible I want bottle images in a slightly darker orange as a watermark style background (similar style to attached photo#2 and bottles similar to photo #3), company name in white placed in middle: Barrio Brands (same as attached photo #4).